If you have been rear ended by another driver and suffered any type of injury you may be entitled to recover damages. The Maryland accident lawyers at The Herbst Firm specialize in all types of car and truck crashes and we are dedicated to recovering the highest possible compensation for our clients. We urge all people involved in this type of accident to seek medical treatment right away. If police on the scene do not immediately request paramedics, take initiative and request that they be called. It is simply too risky to walk away from a crash without being medically cleared. Rear end accidents can leave a driver and his or her passengers with a variety of serious injuries in addition to the mental trauma suffered as a result of the sudden impact. Common injuries from this type of crash include whiplash and herniation. Whiplash occurs in almost every rear end accident due to the sudden acceleration of the head and neck. This snapping caused by a jolt of energy from another vehicle can injure the muscles around the neck and shoulders, causing extreme pain and loss of mobility. Pain from whiplash is not always noticeable right away, and can sometimes take days or even weeks to surface. Even if the rear end accident is minor and there is no immediate pain, you should consider seeing a doctor. Herniation is another common injury that can result from a rear end crash. The human spine is made up of a column of disks, and a herniated disk may occur when the tissue around these disks tears. This type of injury can affect the lower back, or lumbar region, or the upper back and neck. Again, the cause of this type of injury is the sudden jolting of the body after a crash. Brain injuries and broken bones are less common rear end crash injuries, but can be extremely serious and life threatening. Both require immediate emergency room care. The back, neck, and head are not the only body parts that are at risk in these accidents. Often the driver’s arms and legs can be injured as well due to the close proximity of the steering wheel and foot pedals. A driver who has his or her hands on the steering wheel may suffer serious hand and wrist injures from the force jamming them into the wheel. The same is true for a drivers feet, ankles, and legs. Passengers in the back row of minivans or SUVs may also suffer serious injuries to various body parts due to the small crumple zone in the rear of the truck or van. Part of the reason that rear end crashes are so terrifying is that they are so unsuspected. One second a person may be sitting still at a stop light or sign and the next second a negligent driver comes crashing into the rear of the car at a high speed. 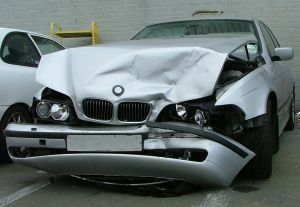 If you have been hit from behind the chances are that the other driver was negligent and at fault. The other driver and his or her insurance will likely be liable for medical expenses, loss of wages, and pain and suffering, but you cannot recover unless you take action. The Herbst Firm’s lawyers are standing by to discuss your Maryland car accident case and are available to meet at our main office in Baltimore or anywhere throughout the state.